Oaks Lighting 2 light picture light features a circular back plate with swan neck arm, holding a cylindrical lamp head all in cooper finish. The product code is PL SES CU. This stylish yet versatile design will sit well in both modern or traditional styled decors and is perfect for illuminating your paintings or photographs. Operated by a rocker switch located on the back plate. 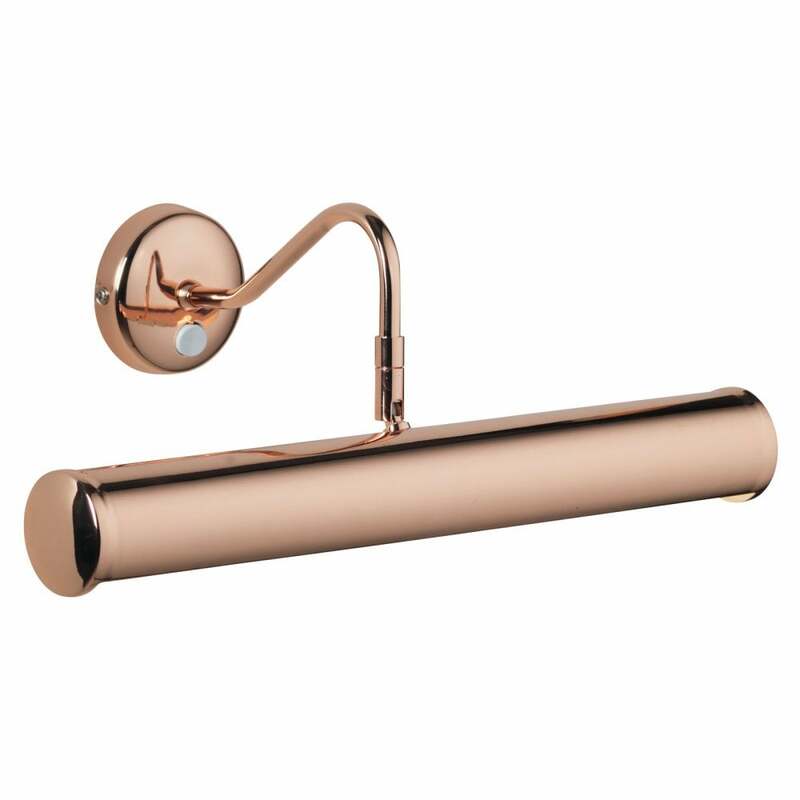 Also comes in antique chrome, polished chrome , mirror black and polished brass finishes which can be viewed on our website.